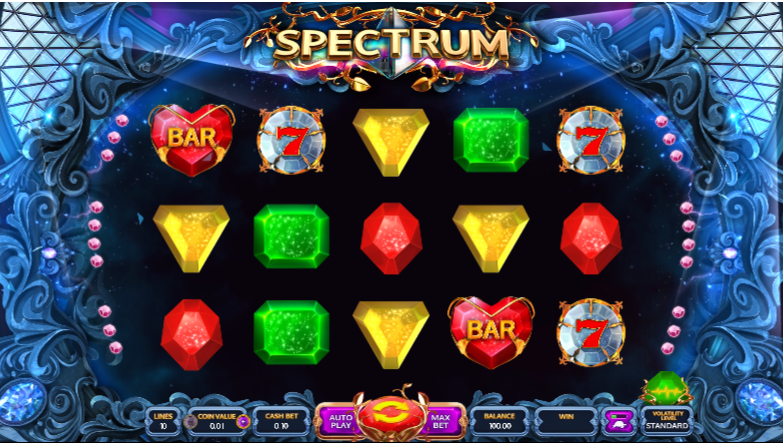 In this 3 reel free slot that is Freemasons Fortune, developers Booming Games is hinting at the aura of mystery surrounding the Freemasons. The graphics in this game indicate the cloak and dagger approach that this game adapts very early on. The icons are in a grid, and a figure in blue wearing a gold mask stands by and watches the player as he proceeds to place his bets. The tone set by the game is intriguing because we cannot fathom the amount of money that is to be won. However, no matter how entertaining this game is, it does not often deliver according to expectations when it comes to winning some big cash. The wild allows for the maximum pay and the scatter symbols help by triggering 10 extra rounds on the house which has little to offer. Booming Games has always lived up to its reputation as one of the best developers of free slot machine games in recent times but with Freemasons Fortune , it seems that the company has failed to design a slot that could essentially appease any player. And most of this is due to the fact that this does not provide enough scope to win any big cash. Also, the game lacks in substance. After a while, the concept of Freemasons and the lacklustre imagery that accompanies the game fall short of the desired expectations from most. The soundtrack is pretty low key and does nothing to make the visuals gripping. There are hardly any bonus features that are worthy of attention. Give this slot a miss because without an opportunity to win big, there is nothing here.